Every parent thinks their child is perfect and usually they are; but no one can control how their teeth come in. Many children at some point in their life should see an orthodontist to evaluate how their teeth are growing in and what needs to be done to correct them. But there are some milestones that a child needs to reach in order to start their actual orthodontic care. While you are waiting for these milestones to hit you can do some work with your child to prepare them for the upcoming treatment. Making your child feel ready for their treatment can make the entire experience better for them and you. 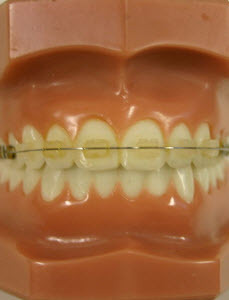 The process of braces is not a short amount of time for a child; and will usually amount to several years. Routine Dental Exams: There are many people that have a fear of the dentist and therefore choose to not go to the dentist’s office regularly. When you do this, you are not fixing very small and minor tooth problems until they are major issues and develop into a toothache. These more involved dental procedures are intimidating and often avoidable. For example, it is much less traumatic to have your teeth checked and cleaned than to need a root canal or tooth extraction! Be sure that your child is taken to the dentist on a regular basis to have exams and cleanings done. Good oral hygiene is a great way to have your teeth ready for orthodontic care. It can also get your child more comfortable with having their teeth and mouth looked at and worked on. Start Dental & Orthodontic Care Early: Although age is not a factor for orthodontic care, the earlier you start the better. The orthodontist can look at the growth of the teeth under that gums as well as the alignment of the bite to make some early determinations. There are some procedures that can be done before all their adult teeth have grown in to make orthodontic care an easier process. The child will also get to know the orthodontist and the staff so that they have a good experience when they are there. Let Your Child Know What to Expect: It’s a good idea to make sure your child knows what to expect and when. It is best for the child to know there are many foods they should stay away from. Often patients experience tender gums and discomfort as their teeth straighten. Remind them often that when this happens, it is very temporary and should subside in a day or two. Poor brushing habits can also lead to sensitive teeth as the failure to remove plaque can break down the tooth enamel so instituting good oral hygiene habits now is a great idea. Importance of Good Oral Hygiene: Good oral hygiene is important for everyone but requires more diligence when wearing braces. Smile Reef will instruct your child on how to correctly and thoroughly brush and floss to help prevent cavities and gum disease. Brushing too firmly can wear down gum tissue when brushing too soft will likely not remove plaque buildup. Your child needs to learn correct brushing now as it will get harder when they are wearing braces. Talk About The Results: As their teeth are changing it is always a great idea to talk about the final outcome. The teeth will change often through the process but the end result will be a confident and healthy smile. dentistry for children. 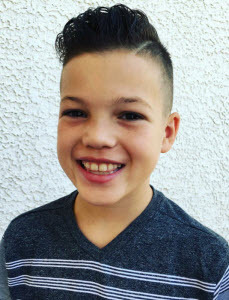 We are proud to cater to kids of all ages and also provide special needs dentistry to ensure all children receive the unique dental care they need. Contact us to schedule your next appointment! It’s a bad feeling when you show up for a pediatric dental appointment and find out your child has several cavities or worse. You want to know that the oral hygiene that your child is developing is enough to keep their teeth in good condition. Although oral hygiene is extremely important, it is not the only part of keeping your teeth and gums healthy. You also need to be aware of the foods and drinks that your child is eating and drinking. Too much sugar is bad even if you have a stellar kid that brushes and flosses really well. Sticky candy and acidic foods are also not a great option so knowing your child’s abilities when it comes to oral hygiene and what they should be doing is a great way to prevent some major dental work at a young age. A pediatric dentist is able to give specific advice for your child individually when you see us for an exam. Do I Need to Clean My Baby’s Mouth? : Oral hygiene is not just teeth or it would be called tooth care! Oral hygiene includes the entire interior of your child’s mouth which includes teeth, gums and their tongue. Prior to your child’s teeth coming in you need to start caring for your child’s mouth. They are much too young to be given the reins on this issue so it is best left to mom and dad. The best thing you can do is to clean off their gums after they have been fed. It is best to remove the excess formula or food that they have eaten. A soft baby cloth is a great option with some water. It can become a very soothing moment for the child and they will start to get used to caring for their mouth. Brushing Baby Teeth: When you have a child that is a few years old and has started to break though many teeth, your cloth cleaning is not going to work anymore. You will need to up your game on the oral care front. Teeth require cleaning by a toothbrush and some kind of toothpaste. You want to take good care of the child’s young teeth for two main reasons. One to prevent decay and two so that they are learn proper technique for brushing and flossing early. This is a great age to make brushing fun and a teaching moment. You will need to continue for a few years to brush the child’s teeth for them to ensure that each tooth is being treated as well as their gums. Give them some help with a follow up so that you are sure the teeth have been brushed and flossed thoroughly. Oral Hygiene for Older Children: When a child hits about seven to nine years old they should be able to care for their teeth the majority of the time. They can use their own toothbrush and safely apply the toothpaste. They have had some supervision so let them go for it. It is always a great idea to have a follow up every few days to be sure that they are doing it thoroughly. 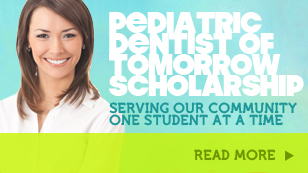 Be sure you start seeing a pediatric dentist early. We can make sure any problems are caught right away and treated before they get too big. It is also a great way to start your child feeling comfortable at the dentist.